I was a tomboy growing up, and one of my mother’s attempts to girly me up was to teach me how to knit. It didn’t take (let’s face it, I much preferred being outside playing soccer with the boys) but the basics stuck with me. 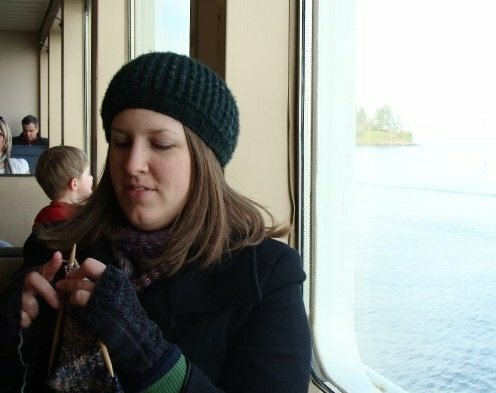 Right before Christmas in 2003, I bought a pair of bamboo needles and a skein of Cascade yarn, and asked my mom to refresh my basics and teach me a few other tricks. She was delighted, and I’ve been happily stitching ever since. After ten soggy years in Seattle, I’m now soaking up the sun in Western Colorado with my husband, two children and four felines.